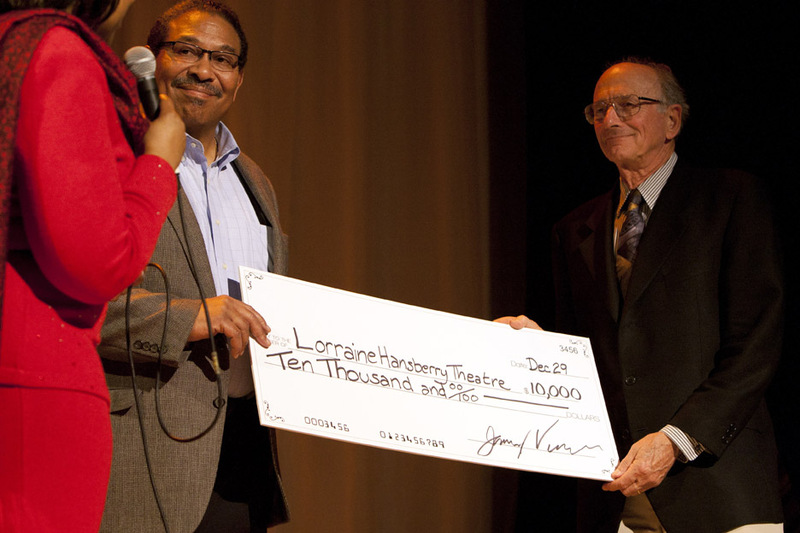 The Lorraine Hansberry Theatre, the premiere African American theater in the Bay Area, also garnered a $10,000 contribution from long time donors Jerry and Ruth Vurek and has been wildly successful in its new home on the second floor of San Francisco’s stylish Kensington Hotel on Union Square. 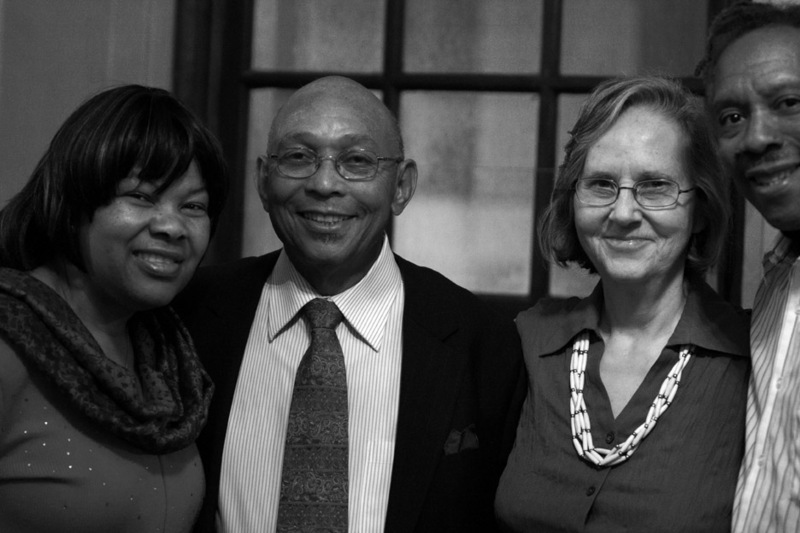 Thus it was a special fete for Mary and Willie Ratcliff, editor and publisher of the San Francisco Bay View newspaper to be honored, while simultaneously launching a fundraising campaign for the Bay View’s Youth Media Arts Program, furthering the Black community’s battle against the tyranny of embedded corporate misinformation and terror. Look for the Lorraine Hansberry Theatre to become the truly premiere company on the West Coast and to eventually have a national and an international reputation, in the finest tradition of the African woman playwright and painter, Lorraine Hansberry, for whom it was named! Malaika H. Kambon is a freelance photojournalist, candidate for the University of California at Berkeley’s Graduate School of Journalism and the 2011 winner of the Bay Area Black Journalists Association Luci S. Williams Houston Scholarship in Photojournalism. She can be reached at kambonrb@pacbell.net. “Our Media Matters” Theater Night, presented by Wright Enterprises and LaHitz Media in honor of the San Francisco Bay View newspaper at the Lorraine Hansberry Theatre, featured the world premiere of “REJOICE!” a joyous musical retelling of the nativity story written by the Bay Area’s own Ron Stacker Thompson, founder of Oakland Ensemble Theater and now professor at the University of North Carolina. The Lorraine Hansberry Theatre is an independent Black-owned arts company that has overcome many challenges over the years, including the deaths of founders Quentin Easter and Stanley Williams within months of each other in 2010. 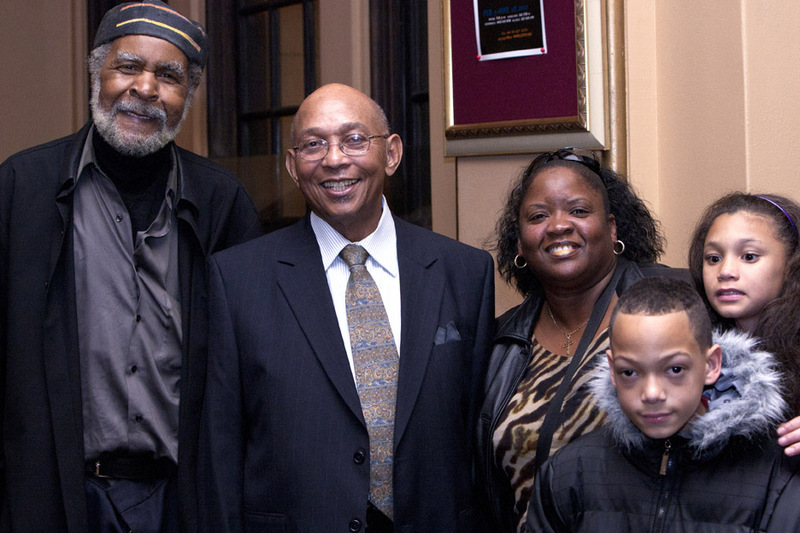 Community businesses and nonprofits and visitors from around the world can continue to enjoy the legacy started by Quentin and Stanley and the thousands of supporters and volunteers who held the Lorraine Hansberry Theatre together for over 30 years. “Thanks to Shirley Howard Johnson, Al Dixon and the board of directors, the theatre functioned in their darkest period last year until they found a new home in Union Square and hired their new artistic director, Steven Anthony Jones. Now in their 31st year, the Lorraine Hansberry Theatre is worthy of our support as it gives a platform for Black voices and Black talent in a multicultural enterprise that benefits all of San Francisco and the arts world,” added Jacquie. Just recently New Birth Church of Antioch and Oakland, headed by Bishop C. Carl Smith, bought out the house to thank their more than 400 volunteers for their year-long service. “New Birth not only enjoyed ‘REJOICE!’ but they also brought additional commerce via parking, shopping and dining into the city. 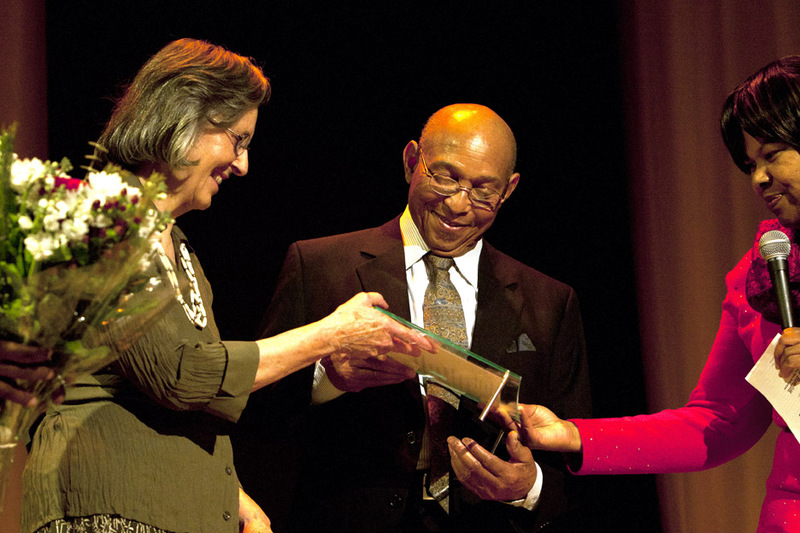 We thank New Birth for thinking of the Lorraine Hansberry Theatre as a place to honor the community as well as LaHitz and Wright Enterprises for seeing the LHT vision,” said Howard-Johnson. LaHitz Media and Wright Enterprises have hosted events at international venues such as the Cannes International Film Festival. 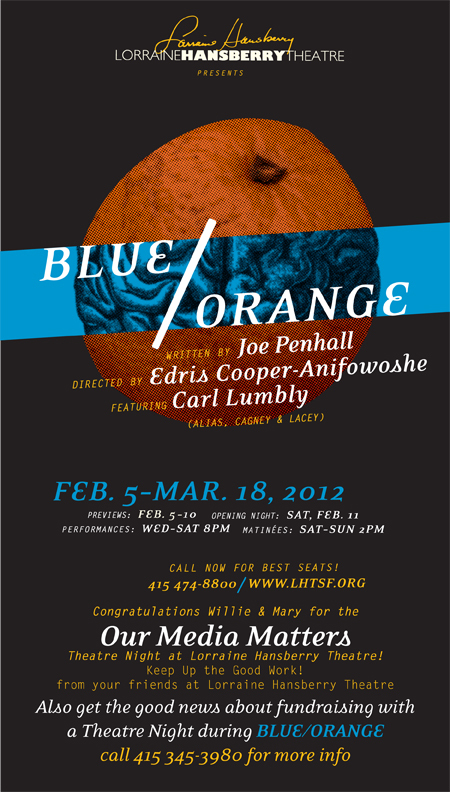 More opportunities for Theater Nights are available with the upcoming production of “Blue/Orange” by Joe Penhall, directed by Edris Cooper-Anifowoshe and featuring Carl Lumbly, Feb. 5-March 18. More opportunities for Theater Nights are available with the upcoming production of “Blue/Orange” by Joe Penhall, directed by Edris Cooper-Anifowoshe and featuring Carl Lumbly, Feb. 5-March 18, just in time for Black History Month and Women’s History Month celebrations. Jackie Wright is the president of Wright Enterprises, a full service public relations firm serving the corporate, non-profit and government sectors. A seasoned media and public relations professional, Wright has 20 years of media experience, including more than a decade of award-winning journalism experience in radio, television and print communications, and holds degrees in both journalism and drama from the University of Georgia. She can be reached at jackiewright@wrightnow.biz. I am looking to get in touch with Shirley Howard-Johnson. My name is Queenie Carter and I am a long time friend of hers. Does anyone know how to reach her? You might try Carol H. Williams Advertising. On this present time public relations firm increase day by day. It is true that, PR firms serving the corporate, non-profit and government sectors and always you can research your PR effort with our Public Relations Analysis software.